Supernatural goes back to school next Wednesday. 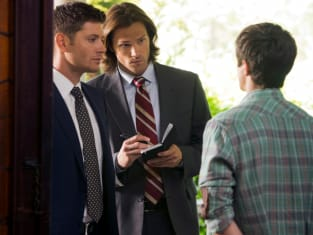 Following a one-off installment that placed Jensen Ackles behind the camera, this CW favorite will find Seam and Dean investigating a death in a college town on "Bitten." From there, look for the drama to take an unusual turn, as Sam and Dean stumble upon a laptop with disturbing footage and end up part of a unique student film.